Are you seeking a successful real estate transaction in Sydney? We at National Property Valuers are your friends in times of need! Over the years, we built a solid reputation with our professional experience and dedicated team of commercial/residential valuers. Accurate valuation is just a matter of time when you have us helping you during crunch time. There are many possible ways we can help you. When it comes to making successful property deals, having us on your side will ensure profits for you. For starters, we will help you with successful investment guidance, market analysis, and property explorations. 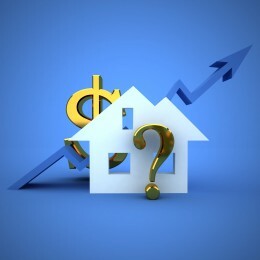 You will get an insight on the workings of real estate transactions and factors affecting valuation. Get all your questions answered clearly by our professionals at National Property Valuers. Whether you are a large business or a small startup, we are here to help you. At National Property Valuers, we are always there to help businesses and individuals get the most from their property deals. Banks and other financial institutions in Sydney rely on our decision before extending loans to customers. Pre-sale, market valuation, mortgage security, stamp duty, tax for capital improvement, and pre-purchase assistance become hassle free-with us. Do you want to know more about what we can do for you? Call now at 1800 828 222. This entry was posted on February 11, 2014 by NationalPropertyValuers in Property Valuation, Property Valuation Services and tagged Property Valuation, property Valuation Services, Property Value, Residential Property Valuation.